Are you headed to France? Or working on a school project about France? Maybe you just love all things French! 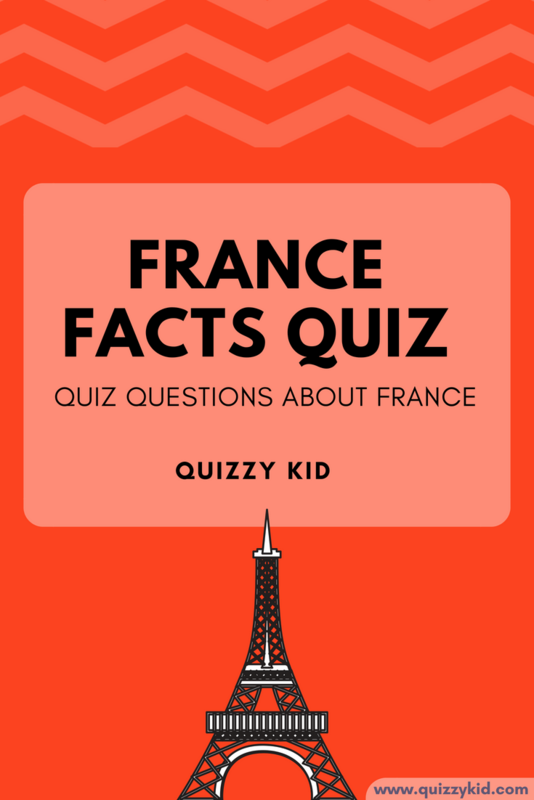 Try out our 10 french trivia questions and answers to see how much you know about this wonderful country. And if you want even more questions then download our quiz pack which has 20 questions on printable worksheets. For more geography quizzes check out our geography page. Q1. What continent is France in? Q2. How many people live in France: 66 million or 76 million? Q3. What is the motto of France? Q4. What mountain range is found on the border of France and Spain? Q5. What is France's national animal? Q6. What is the capital of France? Q7. How many countries border France: 4 or 6? Q8. What 3 colors are on France's flag? Q9. What is France's national flower? Q10. What language do people speak in France? You'll also get 10 bonus questions in this quiz pack!